The Healthcare New Frontier policy strives to create a society where, amidst rapid population ageing, all can enjoy healthy longevity. This policy can be broken down into two overlapping approaches. The first approach is referred to as “curing ME-BYO” and the second approach focuses on advanced health care and health technologies. 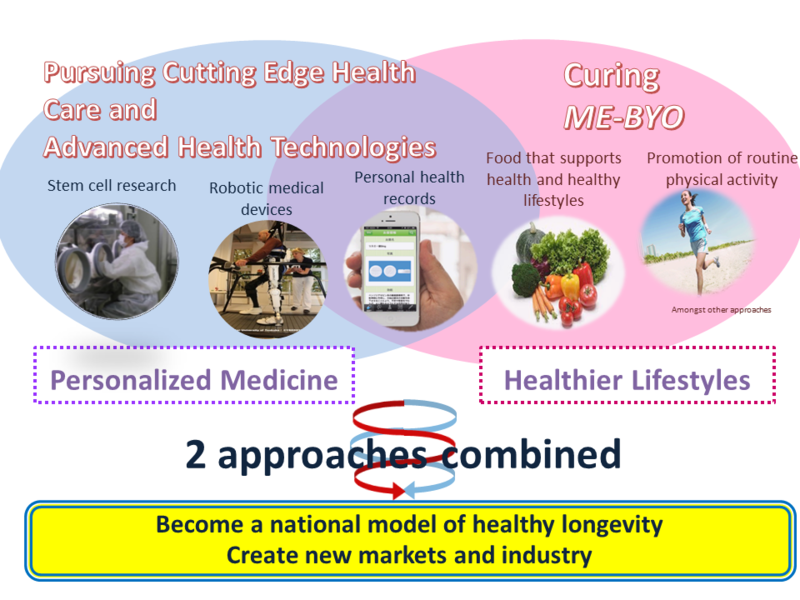 Kanagawa Prefecture’s Healthcare New Frontier health policy package centers on the concept of “ME-BYO,” which, in traditional Eastern medicine, is defined as neither healthy nor sick. Kanagawa Prefecture builds upon this concept by classifying the body’s condition as being in a state of constant transition that cannot be strictly categorized as being either healthy or sick.